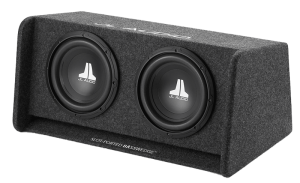 Beyond the features and design of a subwoofer, no single factor affects the performance of a subwoofer system more than car audio subwoofer enclosures and their design. There are several popular enclosure design options available, each with their own unique set of benefits and drawbacks. The most popular enclosures are an acoustic suspension (sealed) and bass reflex (vented or ported) designs. We will close this “Bang For Your Buck” subwoofer discussion with a quick look and bandpass style enclosures. Acoustic suspension subwoofer enclosures are quite simply a sealed cabinet that adds to the compliance of the subwoofer system. This added compliance acts as a high-pass filter and reduces bass output, but also serves to increase excursion-limited power handling. If you look at the graphs below, the yellow curve shows a high-quality 10-inch car audio subwoofer in a 1.2 cubic foot acoustic suspension enclosure. The red curve shows the frequency response of the same subwoofer in a 0.5 cubic foot enclosure. As you can see, above 60Hz, the smaller enclosure is a little bit louder but remains within a decibel or two. Below 50Hz is where things start to vary more. The larger enclosure is 2.15 dB louder at 35Hz and 3.35 dB louder at 25 Hz. While it might not appear dramatic, 3dB is the equivalent of having twice as much power driving the subwoofer. However, this increase in efficiency comes with no thermal power handling penalty. Speaking of power handling, we should look at the physical power handling limits of these subwoofers based on cone excursion. 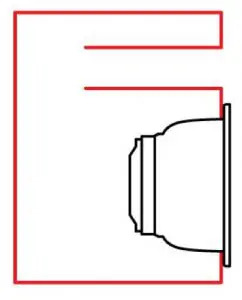 The subwoofer in question has an Xmax specification of 19 mm in each direction from its rest position. The graph below shows the predicted cone excursion of the subwoofer when driven with 500 watts (the maximum power for which it is rated). Once again, above 60Hz, there is minimal difference in the excursion between the two drivers. Below that, the larger volume of air in the big enclosure has less effect on the stiffness of the subwoofer system. The result is the subwoofer moves farther for each watt of power. If you compare the excursion graph to the frequency response graph, the efficiency levels are directly correlated. As a summary, sealed enclosures are the simplest to design and are the most forgiving of construction errors regarding net volume. In most cases, sealed enclosures are also the smallest, making them extremely popular. 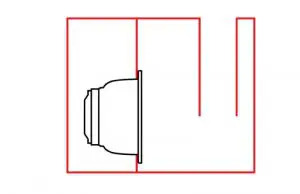 The second popular option for a subwoofer enclosure is a bass reflex design. In this enclosure, a vent is added to the enclosure and is tuned to resonate at a specific frequency to increase the output of the system. If we take our 1.2 cubic foot enclosure and add a vent that is tuned to 30 Hz, you can see in the red curve on the graph below that we pick up an astonishing 6.9 dB of output at 30 Hz. Now, while most vented enclosures are larger than their sealed brethren, the benefit is often an increase in output that is potentially more than having two subs in a sealed design. In fact, this vented design is louder from 20 to 60Hz than three identical subs in an enclosure that is 50% larger (1.8 cubic feet). Besides efficiency, there is a second benefit to a bass reflex enclosure design. Cone excursion is dramatically reduced through the majority of the operating range. The graph below shows the cone excursion vs. frequency response of the 1.2 cubic foot sealed (yellow) and vented (red) enclosures. The null (reduction in excursion) at 30 Hz is caused by the tuning of the vent. At this frequency, the majority of the output from the subwoofer system comes from the vent itself. As with anything, there are always drawbacks. There is very little cone motion control below the tuning frequency of a bass reflex enclosure. In this 1.2 cubic foot vented design, the driver will reach its 19mm excursion limit at 22Hz when driven with 500 watts of power. Below that frequency, the sub will move more than it’s rated for and distortion will increase dramatically. This excursion issue can be offset by implementing an infrasonic (high-pass) filter around 20 Hz to reduce the power sent to the driver. Many subwoofer amplifiers have infrasonic filters built-in. Most digital signal processors can do the same thing. Bandpass enclosures are called that because they not only act as a high-pass filter but as a low-pass filter as well. 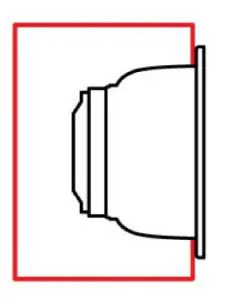 A typical bandpass enclosure features two chambers. The woofer is mounted between these chambers. In a single-tuned enclosure (often referred to as a fourth-order bandpass or single- reflex bandpass), one of the chambers includes a vent from which all the sound is created. A benefit of this design is the ability to feed that vent through an opening in a rear parcel shelf or similar to ensure coupling with the interior of the vehicle. The second bandpass enclosure design is a Double-tuned design where both the front and rear chambers are vented. In a Series-tuned bandpass enclosure, the large rear chamber vent feeds into the front chamber. In a parallel-tuned design, the vents from each chamber feed directly into the listening area. Double-tuned bandpass designs are often referred to a sixth-order or dual-reflex designs. Depending on the type of bandpass enclosure you choose to construct, you may gain some significant excursion-based power handling, and some overall system efficiency through it’s operating range. The main drawback of a bandpass enclosure is its complex design and sensitivity to construction errors. Unlike a simple sealed enclosure, errors in speaker parameters and simulations can produce unpredictable and potentially unwanted results. The second challenge posed by bandpass design lies in the lack of mid-bass they produce. The low-pass filter abruptly reduces (relatively) high-frequency output. This filtering effect can make it very difficult to achieve a smooth transition between the output of a subwoofer system and the midrange or mid-bass drivers in a system. The third challenge of a bandpass enclosure is the physical size. Put simply, if you expect low-frequency performance similar to a typical bass-reflex design, the bandpass enclosure will be physically larger. With space at a premium in modern vehicles, this could be reason enough to avoid them. In most systems, the choice of enclosure design will come down to the space available. 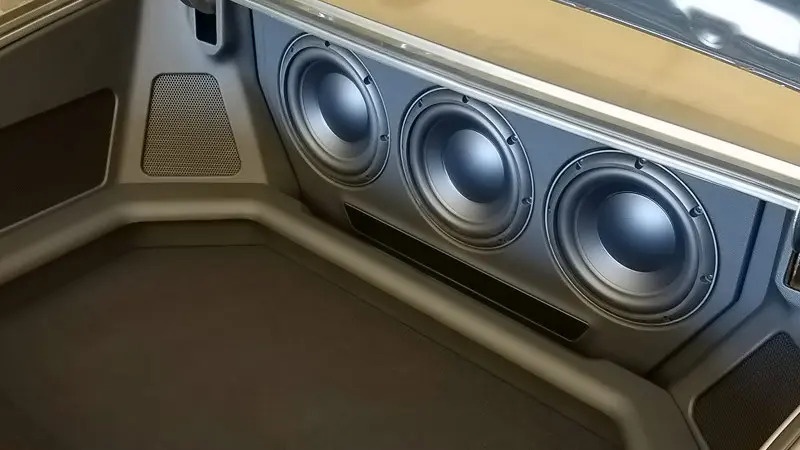 If you are trying to minimize the impact of a subwoofer on the available storage space in your vehicle, a sealed enclosure may be the best choice. If you want increased efficiency, then consider a bass-reflex design. 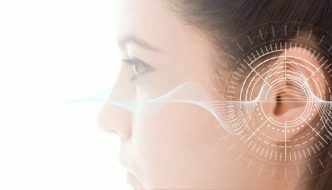 If you have a unique application that requires a bandpass design, then by all means, go for it. But be prepared to pay more for the required design, fabrication and testing time required to get these enclosures perfect. 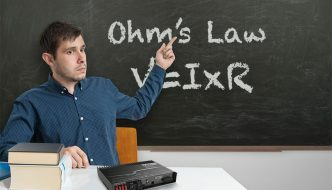 A quick note on “basic” subwoofer systems. Over the years, we’ve seen a LOT of retailers offer “bass packages” that include a sub, amplifier, enclosure and often a wiring kit. In the majority of these packages, the retailer has paired an inexpensive sub with an inexpensive amp and a sealed subwoofer enclosure to minimize the total cost of the system. When you are limited in power and output capabilities, upgrading these packages to a bass reflex enclosure is a great investment. You will typically double the efficiency of the system and reduce the chances of damage to the driver caused by overpowering it. When it’s time to pick a subwoofer enclosure for your vehicle, work with your local mobile enhancement retailer. They will help design a solution that will balance your performance and space expectations. It’s not a complicated process, but, having someone with experience will make it much easier and more predictable.